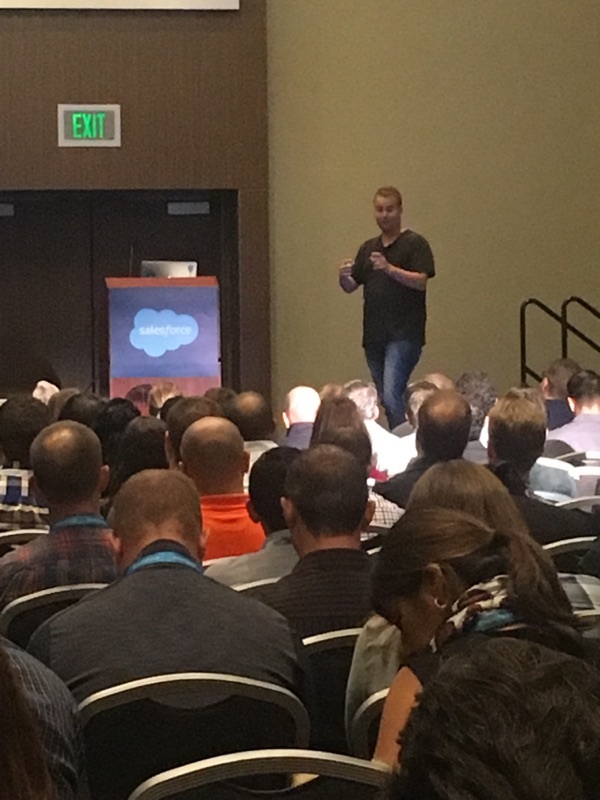 Dreamforce is an annual conference put together by Salesforce. The four-day event, held this year in San Francisco from October 4-7, brings thought leaders for networking, giving back, and innovation. With over 2,000 sessions and thousands of live solutions, this is a spectacular event. 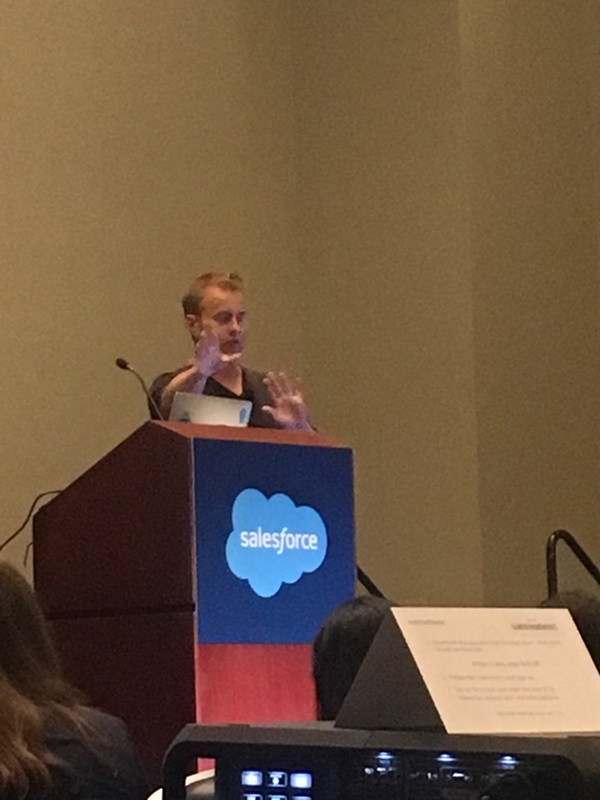 This year, I was pleased to speak at Dreamforce on the subject of how even small teams can provide big support for their customers and deliver that memorable experience that develops trust as well as maintains loyalty. 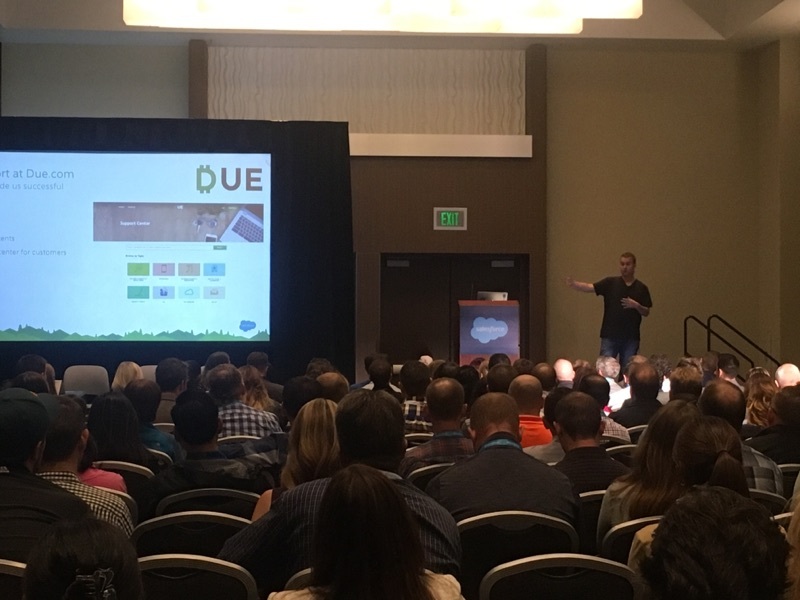 My presentation focused on some specific tips that I’ve used with my small teams to deliver phenomenal support for my customers at Due, an online invoicing and payments company. First, I’m proud to show off to my customers the real size of the team rather than opting to use stock photos on my website. Customers actually like the fact that they can see the real people on the other end of the phone and chat box. It humanizes my online business and creates a more meaningful relationship for those that seek out service when they have a question or concern. Second, excellent customer service also relies on providing the right tools for the team. 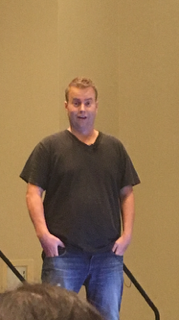 During the presentation today, I noted various ways to do this, including using software that calls up customer profiles so the team members can see who they are speaking to and be updated on any previous times the customer called in with a problem. This makes the customer feel special and takes away any frustration that they would have had if they were to repeat their story to different people. Third, I noted that communication delivery was vital to customer service as well. It is important to avoid using anything that is deemed passive aggressive or where the tone comes across as though the team member is irritated with the customer. It’s important to think about how that team member would feel should the roles be reversed. Keep it positive and personalized throughout all conversations with customers. Fourth, make it clear when there is live customer support. Our website shows it clearly on every page so customers know where and when to call in to get this assistance. Lastly, since we know that, with such a small team, we cannot provide around-the-clock live support, we have put together a comprehensive online help center and knowledge base for our customers where they can get quick and easy answers to some of the most common issues customers have experienced. We regularly update this content as we come across more patterns in the tickets we receive. While we know many customers really want a voice on the other end of the phone, many others are pleased to be able to just go online and find a solution in just a click or two. These are easy ways that a small team can provide memorable customer service that keeps customers satisfied and coming back to work with us again and again. Then, as we grow, we can add other team members to handle customer support needs, still relying on these same types of simple, yet effective customer service strategies. I thoroughly enjoyed the lively discussion I had with the audience and am now looking forward to enjoying the rest of this event over the course of the next few days not to mention rock out with U2! Join us on Thursday when Due.com exhibits at Dreamforce.